I began genealogy shortly after the passing of my Aunt Hazel who, to the best of my knowledge, was one of the only people in the Wheeler line doing any kind of genealogy. Not long after getting started, and with family pictures, I became interested in the life and history of my great-grandfather Sylvester Beasecker (b. 06 Feb 1859; d. 01 May 1933). Sylvester is the son of Samuel Beasecker (b. 13 Feb 1831 in Montgomery, Ohio; d. 06 Jun 1888 in Goshen, Elkhart, Indiana). According to the International Marriage Records, 1560 – 1900, Samuel married Martha Browen born in Pennsylvania in 1836. Numerous searches for Martha Browen in and out of Pennsylvania yielded very little in regards to the background of Martha. Eventually I came across the death record for Martha (as well as several other Beaseckers) in South Bend, Indiana and she was buried in Sugar Grove Cemetery in Goshen, Indiana. On a trip from Illinois to Michigan, I made a detour and stopped by Sugar Grove Cemetery. Unfortunately the headstone provided little in the way of Martha’s maiden name or her parents. There is a Mary & John Browand buried in Sugar Grove Cemetery but I was unable to find a link from Martha to anyone with the Browand surname. Over the years I have tried different spellings to include Browan, Browand, Brown and Brower. After weeks (okay…months) of research, I wrote it off as a “brick wall”. Like so many others in genealogy, family research is one that we pick up and put down with the changing of the seasons. As Illinois got pelted with snow and freezing temperatures, I once again picked up my genealogy. As Ancestry, NEHGS and others are continually adding new records, I did a search for Martha. Martha and Samuel had five children (William J, Sylvester B, Alice E, Amanda N and Rosalie M). While searching in Ancestry I came across a photo of Martha “Bowman”, Alice Beasecker, Florence Wiese and Robert A Wiese. Jackpot! 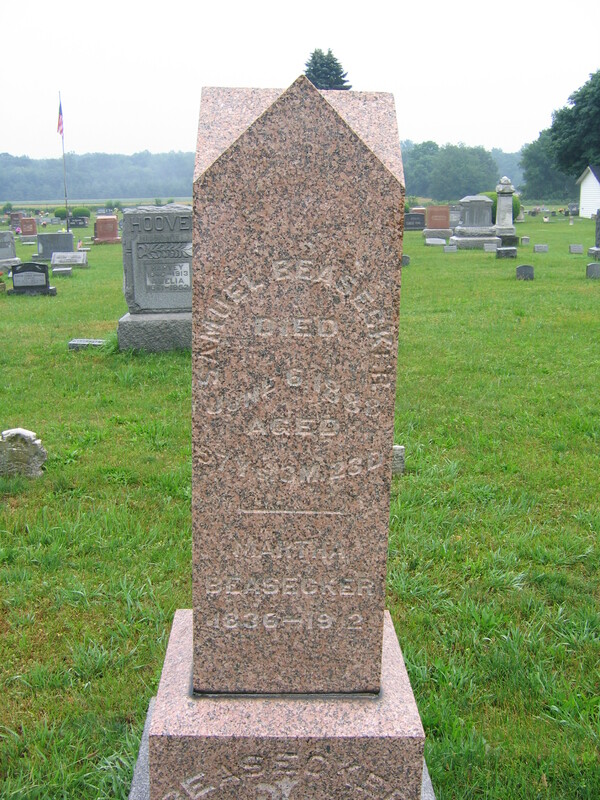 Alice Beasecker married Allen Bemenderfer 26 Sep 1883. Their daughter Florence Bemenderfer (b. 08 Mar 1885, d. 06 Mar 1962) married Christian M. Wiese (b. 17 Aug 1884, d. 25 Nov 1967). Armed with the correct surname, I was able to locate Martha’s parents, John F. Bowman (b. 1816, d. 1856) and Nancy Stover (b. 1819, d. unknown). As the website has been taken down (Ancestry.com makes it so easy to publish the tree and it didn’t make sense maintaining both), I figured that I would re-purpose the domain name to use on the blog. 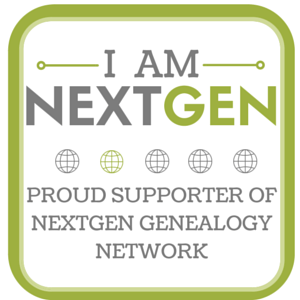 One of the project ideas that came up for genealogy was “52 Ancestors in 52 weeks” (http://www.nostorytoosmall.com/posts/challenge-52-ancestors-in-52-weeks/). I love this idea. Look for the first blog entry later this week.